CPD affiliates are working to support innovative, high impact statewide ballot initiatives in California, Florida and Ohio to ensure a progressive agenda for working families. In all three states our partners have been instrumental in not only getting these initiatives on the ballot this November, but are hard at work organizing communities to win these campaigns. In California, Alliance of Californians for Community Empowerment (ACCE) and allies are leading a major statewide campaign for greater access to decent and truly affordable housing, and a campaign to combat the displacement of current residents, largely Black and Brown communities, from cities throughout California. 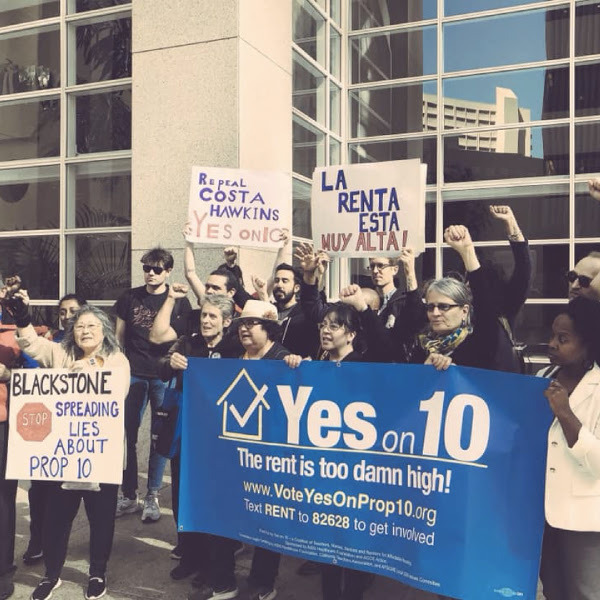 The "Yes on Proposition 10" campaign will repeal the harmful Costa Hawkins Rental Housing Act that took power away from CA cities to extend rent control or pass vacancy control causing a disaster for California’s tenants. In Florida, Organize Florida and New Florida Majority Education Fund are both on the ground working hard in coalition on the "Yes on 4" campaign, also known as the Second Chances campaign in Florida, that will re-enfranchise 1.5 million formerly incarcerated citizens - the largest expansion in voting access since the Voting Rights Act. Our affiliates are holding ice cream socials and canvassing throughout Florida to to spread the word about "Yes on 4." In Ohio, the Ohio Organizing Collaborative (OOC) and partners are working together in support of the 'Yes on 1" campaign that will reform Ohio's criminal justice system and reinvest millions of dollars into drug treatment and community-based recovery programs. OOC has organized across urban, suburban, and rural communities impacted by the War on Drugs to learn about the Ohio Neighborhood Safety, Drug Treatment, and Rehabilitation Amendment on the ballot this November.